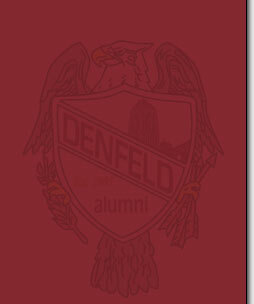 The Denfeld Hunter Hall of Fame has existed in various forms for more than 50 years, and has been under the management of the Denfeld Alumni Association since 2004. The tradition began when the Denfeld Athletic Hall of Fame was established in 1966. Thirty years later, the Denfeld chapter of the Distributive Education Clubs of America launched the Hunter Hall of Fame and broadened selection criteria to recognize professional and humanitarian contributions as well as athletic achievement. Since 1996, more than 225 alumni have been nominated for selection to the Hunter Hall of Fame. The nominees represent Denfeld classes from the 1930s to the modern era. New nominees are added every year. For this reason, many inductees are selected to enter the Hall of Fame several years after their names were first placed in nomination.